Need something special for that cookout, picnic, or potluck? 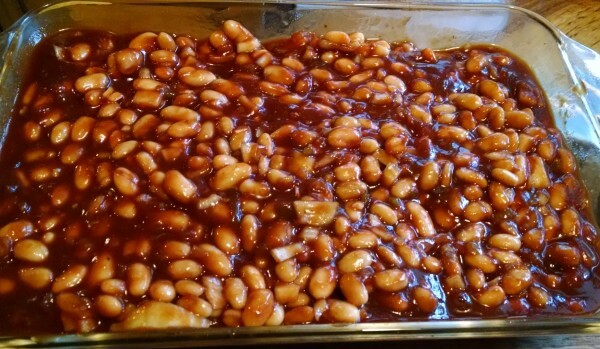 These Country Smoked Vegan Baked Beans are sure to be a hit! Only 1 gram of fat and a whopping 22 grams of protein per serving! 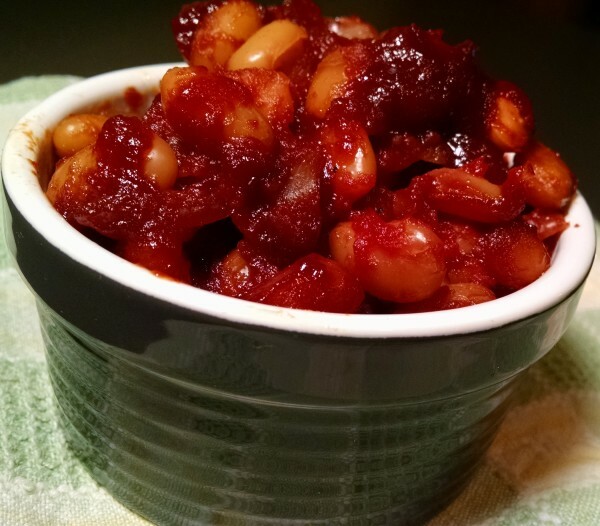 I used to love baked beans, before I switched to a healthy plant-based diet in 2013. The problem was that the traditional recipe I used required artery-clogging bacon, and lots of it. I remember using nearly a pound of bacon in one large recipe when I was taking it to family cookouts. Now I shudder to think of it! With this new-and-improved version, I’ve removed all the greasy bacon to make it much more heart-healthy. 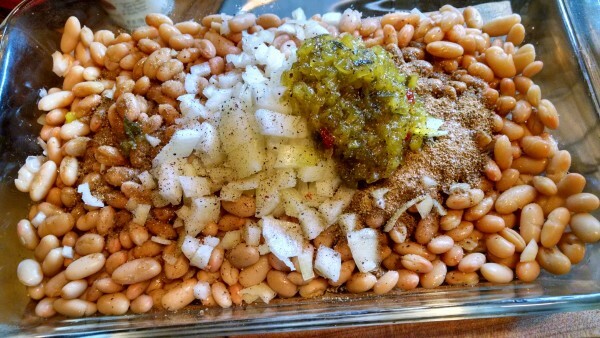 And it still has all of the flavor with beans, onions, relish, molasses, and liquid smoke. Another great thing is that these baked beans can even be made in a slow cooker. Simply set the temperature to medium and let them cook while you work, run errands, or simply get things done around the house. Bake in oven or cook in crock pot. Beans are a nutritious, natural source of fiber. 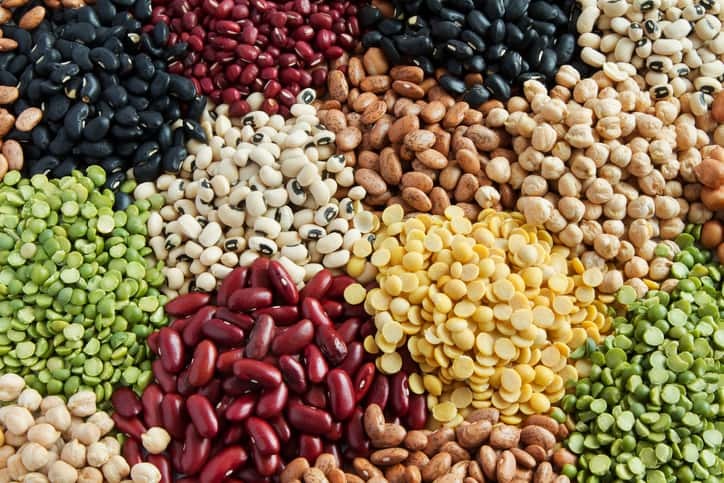 One cup of cooked beans or lentils provides between 17 and 18 g of fiber. Fiber assists the transport of food through your digestive tract, supporting colon health and preventing constipation. Fiber also plays a role in healthy cholesterol levels. Beans are loaded with 7 grams of fiber per 1/2 cup serving. I thought I’d give you a heads up on this recipe, I’ve made it a few times now because everyone loves it but I got to thinking, what if I made them with dried navy beans! !I did and it’s perfect!! All you change is: 1 pound dried navy beans, soaked 12 hours and change the water quantity to 2 1/2 cups. Everything else remains the same. I cooked them in my Instant pot for 1 1/2 hours, high pressure, quick release but I’m sure they can also be done in a 275 oven overnight. Need something special for that cookout, picnic, or potluck? 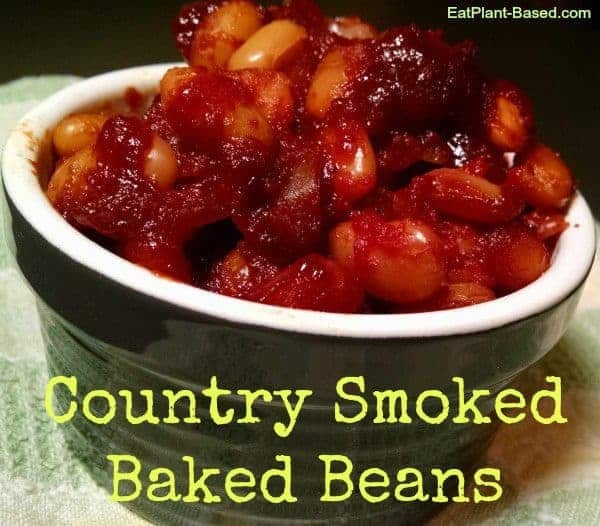 These country smoked bake beans are sure to be a hit! Only 1 gram of fat and a whopping 22 grams of protein per serving! Preheat oven to 375 degrees. 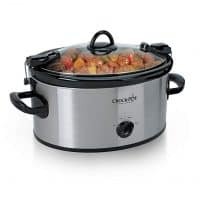 Or heat crockpot for slow cook method. 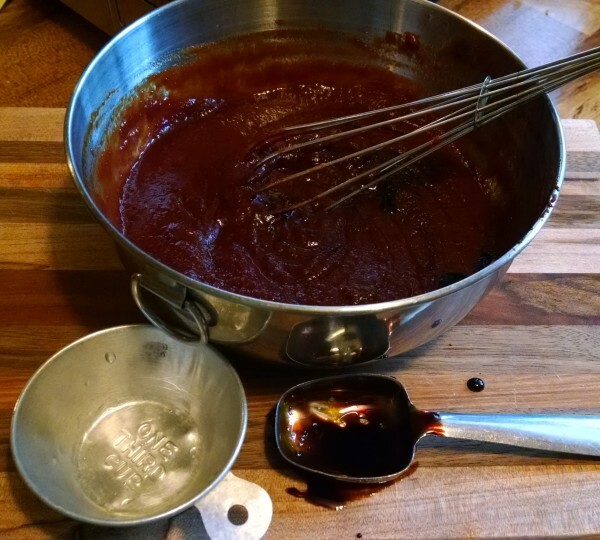 In medium sized bowl, whisk together remaining ingredients: molasses, ketchup, water, tomato paste, liquid smoke, and apple cider vinegar. Pour wet mixture over beans mixture and stir until thoroughly mixed. Bake in oven at 375 degrees for one hour. OR for a slow cook method, place in crock pot and cook on low for 7-8 hours or high for 4-5 hours. Great for cookouts and picnics! I made these last night. So yummy! Even without the relish, which I had to omit since I didn’t have any on hand (though i added a touch of pickle juice). I also used bulk white beans I had previously batch-cooked from dry and frozen in one-and-one-half cup quantities (bringing the already low cost of these even lower 🙂 ). I’ll definitely be making these again (will keep these in mind for potlucks especially) — so tasty….! What great eyes you have! The amount of black pepper would really be to your preference and taste, but I think good starting point would be about 1/2 tsp. This recipe is a KEEPER!!!! Made it in two 2 1/2 quart casseroles. Served one for a vegetarian brunch…they LOVED it! Served the other for a non-vegetarian family…they LOVED it!!! I love how the sauce thickens up and is not runny at all once it is finished cooking. 1 hour was perfect. I made the sauce the day before. 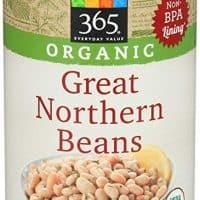 Ended up using 3 cans white kidney beans, 1 can white northern beans and it tasted perfectly fine (they taste similar anyways, just liked the smallness of the northern beans so will do those next time). Thank you for the recipe, it’s my new family picnic contribution 🙂 Happy New Year!!! That’s terrific to hear! Thank you so much for letting us know that it’s a new family favorite! Is the puckle relish SWEET or DILL, Terri? I use the sweet relish in the recipe.